If the Knowledge Is Power Program announced that it was developing a new school accountability and data system for all of its schools throughout the country, school reformers and education reporters would spend hours and thousands of words analyzing its consequences. If a state education agency also directly ran a third of the schools within its state, effectively acting as one of the nation’s largest districts, Rick Hess would spend hours discussing whether it is taking the right approaches to managing operations and even asking if it should be in the school operating business at all. If nearly all of a major urban district’s schools were some of the worst-performing in the nation — and had been nests of educational and physical abuse for more than a century — it would be rightly criticized by outfits such as the Education Trust for decades of inaction. And if there were numerous opportunities for turnaround efforts, spurred in part by its application to the U.S. Department of Education for a waiver from the No Child Left Behind Act, charter school operators and Parent Power activists would be sniffing around. Yet school reformers spend little time pondering the future — or the possibilities for systemic reform — of such an outfit now: The U.S. Bureau of Indian Education, whose enrollment of more than 48,000 American Indian children makes it one of the nation’s largest — and worst-performing — school districts, one of the smallest – and least-effective — state education agencies, and one of the largest contractor and authorizer of schools. Overhauling BIE would both help advance the transformation of American public education and deal with one of the shames of this nation’s history. These days, BIE is in the midst of some changes that should pique the interest of all reformers. Thanks to a new Obama administration policy codified in Executive Order 13592 — which focuses on improving instruction and curricula for American Indian and Alaska Native children and directs federal agencies to divert some of their funding toward that purpose — BIE has become a focus of the Obama administration’s education reform efforts. In April, the U.S. Department of Education and BIE’s parent agency, the Department of the Interior, struck an agreement under which BIE gains formal status as a state education department and allowing in some cases for schools in its system to participate in the latest round of Race to the Top and other competitive grant programs geared toward reforming school districts. This month, BIE took advantage of that new status as part of its application for a waiver from the No Child Left Behind Act. Under the plan, BIE proposes to develop a unified accountability and school data system monitoring the performance of all of the schools BIE operates and oversees in 23 states throughout the nation. Such a move would mean that BIE’s schools would no longer be monitored by a patchwork of state education departments. One can easily see charter school operators such as KIPP proposing similar efforts in the coming decades because they share similar complications. At the same time, it would bring up questions about how the U.S. Department of Education, which already monitors BIE through its Office of Indian Education and other units, will oversee the agency itself because the plan effectively makes the U.S. Secretary of Education the national equivalent of a chief state schools officer. The move by BIE to create a new accountability system also brings about challenges for the agency itself. Why? Because it is a hybrid of a state education agency, traditional district and charter school authorizer. One hundred fifteen of the 173 schools within BIE are managed by the nation’s American Indian tribes on their reservations under contractual arrangements. The remaining 58 schools directly in the BIE system are run by the agency itself, making it the equivalent of a traditional district. Then there are another nine privately-run off-reservation boarding schools — a legacy of one of the darkest (and near-genocidal) episodes in the history of American public education — that receive BIE dollars. Launching this new accountability system not only requires BIE to develop a robust data system, it also means gaining support from Tribal leaders and Native communities, which for a lot of good reasons, are ideologically reluctant to have BIE interfering in its affairs any more than necessary; Add in the U.S. Constitution’s trust obligation clause, which requires the federal government to seek the input of American Indian tribes before taking on any effort, and one can imagine the complications that BIE faces in its efforts. But this is a challenge that BIE has to undertake. If it were a traditional district, BIE would be rank with Detroit, Cleveland, and Indianapolis as among the nation’s worst school systems. Just 50 percent of the eighth-graders in BIE’s original Class of 2010 made it to senior year of high school, according to Dropout Nation‘s analysis of data submitted by the agency to the Department of Education. (BIE officially reports a graduation rate of 58 percent.) Two years ago, BIE admitted in its 2010 School Improvement Grant application that 115 of its schools were either in “improvement, corrective action, or restructuring status”; few BIE schools ever make Adequate Yearly Progress. Given that only half of American Indian and Alaska Native students (including the 90 percent of kids not attending BIE schools) graduate, it is especially important that the only school system explicitly dedicated to serving those kids do a far better job for them than it has. Meanwhile there are also questions about which federal agency will now operate BIE itself. There has been plenty of talk about moving BIE over from Interior to the Department of Education. Whether or not this move will be proposed by the Obama administration — or even get past Congress — is an open question, and there are plenty of obstacles to such a transfer. But if it happens, the Obama administration (if it wins re-election) would have a unique opportunity to apply the very reforms it has championed through Race to the Top, I3 and the School Improvement Grant program. One can easily imagine BIE working with a charter school operator or a tribe to either launch a Recovery School District kind of turnaround effort or start a series of new charter schools that give Native families and communities more choices for both high-quality teaching and college-prep curricula that also reinforces tribal traditions. All in all, what BIE offers is an opportunity to advance systemic reform and build cultures of geniuses for Native students on a New Orleans-level of scale. With more than 48,000 students, BIE would be among the nation’s smallest state education departments, yet still be one of the largest districts. It also serves more students than KIPP (which educates more than 33,000 children) and does so on a wider geographic scale than most of the nation’s largest charter school operators. 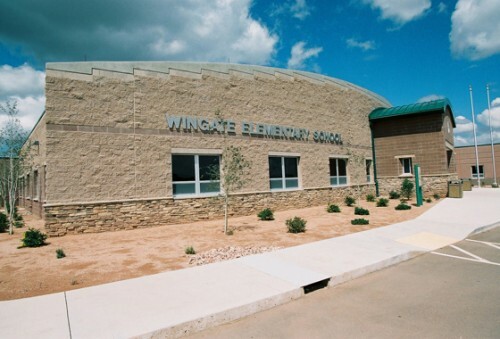 At the same time, through its role in contracting with tribes to run schools, could easily be considered one of the largest charter school authorizers in the country. Just imagine the possibilities for advancing reform? The Data Quality Campaign, for example, could work BIE and Native groups on developing a school data system that serves as a Consumer Reports of sorts for Native families to help them make smart choices for their kids (a topic of this week’s Dropout Nation Podcast); the possibilities on the teacher quality front are just as great, with opportunities for TNTP and other groups to work with the agency and tribal education departments managing schools on its behalf on new systems for recruiting and evaluating teachers. At the same time, the BIE’s challenges in managing its contractual relationships with school operators, its work with communities that have long-distrusted what American public education has done to (and not for) them, and the struggles in working across state boundaries could also offer cautionary lessons for reformers, especially as charter school operators such as KIPP and Rocketship Education continue to expand their collections of schools. But school reformers shouldn’t just look at BIE as a potential lever for transforming American public education. They should also see overhauling BIE as an opportunity to make right the nation’s abhorrent, immoral, and indefensible treatment of one of most-vulnerable groups of children. For most of its history, the federal government has done all it can to subject American Indian children to what can be best called educational abuse and genocide. Starting with the launch of the notorious Carlisle Indian Boarding School in 1879, the federal government focused its schools on assimilating Native children into American culture, or as Carlisle’s founder, Richard Henry Pratt declared: “Kill the Indian in him and save the man.” By the mid-20th century, what is now the BIE opened 26 such schools while another 450 were operated by missionaries on the federal government’s behalf. American Indian children were often forced to leave their families to attend schools where they were subjected to physical abuse, molestation, and substandard instruction; they spent at best four hours a day in classes they could not understand because the schools didn’t focus on English language proficiency and the rest of the time working in conditions that wouldn’t have been allowed under child labor laws. The consequences of this educational abuse was beyond tragic. Less than eight percent of the 12,000 Native children forced to attend the Carlisle school progressed to graduation. The lessons taught hardly prepared those young men and women for life in the economic times of the 20th century. As a Brookings Institution panel declared in the 1928 Meriam Report, the average Native child left school “poorly adjusted to conditions that confront him”. By the 1970s, the federal government had abandoned the assimilationist approach to schooling Native children. But the damage done can be seen, not only in the high levels of young Native men and women dropping out into poverty and prison, but even in the high levels of unemployment that have helped perpetuate poverty in many Native communities (especially those without casinos). And the legacy of the nation’s educational genocide toward Natives is now weighing down the nation’s economic and social future in the age of the global, knowledge-based economy. Now is the time for school reformers to pay attention to BIE — and use its changes and challenges to advance systemic reform. Helping our Native children in its schools would also help advance the overhaul of American public education needed to give all of our children brighter futures. Thanks for bringing this to our attention RiShawn. The Louisiana RSD and the IN, TN, and MI equivalents provide some models. A digital overlay could power a network of small rural flex high schools.